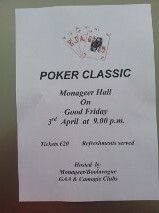 Monageer Boolavogue GAA & Camogie Clubs are hosting their annual Good Friday Poker Classic. All card players are welcome to come along to the Monageer Parish Hall on Good Friday 3rd April at 9pm. Refreshments will be served on the night. Monageer/Boolavogue 3-13 St Marys Rosslare 3-13. Our Junior hurlers travelled to Rosslare for the 12.00 throw in on Saturday and came home with a well deserved share of the spoils after a great comeback. Rosslare raced in front and led 1-2 to 0-0 after only 4 minutes play. Monageer battled back and with Liam Gahan and Chris Daly getting a grip in the half back line we battled back well to be only 2-7 to 1-6 behind at half time. James Gahan scored 1-1 and tormented the Rosslare full back line winning a succession of frees which the ever reliable Ed Rowesome repeatedly punished. Rosslare forged ahead again and led by 7 points with 15 minutes left. Colm O Loughlin came on to the edge of the square, immediately he caused panic in the Rosslare full back line and scored two brilliantly taken goals. Two long range points from the increasingly influential David Breen and another from the now rampant Sean McCabe whose solo and finish from the right sideline was sheer class, brought us to within a point of our hosts. Monageer were now completely on top and eventually got a well deserved equaliser when Ed Rowesome from the left touchline shot a brilliant point. The team showed great battling qualities and looked the much fitter team at the finish on what is a very big pitch. Best on the day were Ray O Brien, Chris Daly and Liam (Monageer)Gahan who was outstanding at wing back. Foster Lacey worked tirelessly in midfield while Sean McCabe was brilliant in the second half. Up front David Breen battled really well while Colm O Loughlin when introduced and James Gahan were particularly impressive. Team; Peter Mernagh, Keith Swaine, Conal Nolan, Ray O Brien, Sean Doran, Chris Daly, Liam Gahan, Foster Lacey, Sean McCabe(0-1), Larry Murphy(0-1), David Breen(0-2), Ed Rowesome(0-7, 6 frees), James Gahan(1-1), Damien Fenlon(0-1), Garry Ennett. Subs; Adrian Flynn for K Swaine, Colm O Loughlin(2-0) for A Flynn. Monageer/Boolavogue 3-18 Buffers Alley 0-8. Our Intermediate hurlers had an easy win over our neighbours Buffers Alley in Ballinastraw on saturday evening last to maintain their impressive start to the league campaign. They set about the task with real conviction and Bertie Gahan shot two excellent early points before retiring with a recurring hamstring injury. Excellent foward play was rewarded with a steady flow of scores with Niall O Loughlin from frees and play showing great accuracy. Padraig Flynn who had moved to full foward raced through to net two well worked goals, both with excellent finishes to give Monageer a half time lead of 2-11 to 0-4. The Alley came into the game for a spell after half time and shot a few scores but their rally was short lived as further points from Flynn and Dean and Damien Fenlon and a late goal from Mark Gahan finished the job in some style. Overall it was a good team performance with Dean Fenlon and Chris Daly excelling in defence. Larry Murphy was outstanding in midfield while up front Niall O Loughlin, Podge Flynn and Mark Gahan were best. Team; Sean Murphy, Liam Gahan(B), Stephen Murphy, Niall O Reilly, Dean Fenlon(0-1), Mick Sweeney, Damien Fenlon(0-1), Larry Murphy, Colm O Loughlin, Niall O Loughlin(0-9,6 frees), Podge Flynn(2-2), Peter Mernagh(0-1), Bertie Gahan(0-2), Mark Gahan(1-1). Subs; Mark Walsh for B Gahan, Matty Dunne for D Fenlon, Shane Kehoe(0-1) for C O Loughlin, Brian O Loughlin for N O Loughlin, Sean McCabe for C Daly. A hard earned win for our third team completed a great opening round weekend of hurling action with all teams securing maximum points. Conditions were excellent in Farmleigh as our lads won with the help of a late wonder goal from William Murphy as he stole in behind the home sides defence to send a left hand rocket of a shot to the top right hand corner of the net. The goal was crucial as it changed the course of this game as Marshalstown looked the likely winners at that time in the game. Late points from Robbie Donnelly and his uncles Ed and Morgan Rowesome eventually put daylight between the teams. Best on the day were Adam Dunne in goal, Dec Kelly and Barry Miller in the backs, James Donohoe at midfield with Ed Rowesome, Tomas O Leary and Robbie Donnelly the pick of the fowards. Team; Adam Dunne, Murt Sweeney, Barry Miller, Keith Swaine, Podge Stafford, Dec Kelly, Colin Hawkins,Micheal Stafford, James Donohoe, Ed Rowesome(0-7), Tomas O Leary(0-1), Robbie Donnelly(0-1), Morgan Rowesome(0-1), Micheal Somers, Ciaran Fenlon(0-1). Sub; William Murphy(1-0) for M Somers. Our Junior hurlers made a winning start to their All County League campaign on Sunday last with a hard earned win over a highly rated Gusserane team. Playing with wind advantage in the first half we turned over leading by a single point 0-5 to 0-4 with most of the scores from placed balls in what was a rather poor 30 minutes of hurling. Our boys improved considerably in the second half and when James Gahan flashed home the first goal we proceeded to dominate right to the finish. Bryan Dwyer grabbed another 1-2 and a fine goal by Patrick Walsh after a great James Gahan pass wrapped up the points. Best on the day were Chris Daly and James Donohoe who had a fine game at wing back, Damien Fenlon had an excellent game in midfield while up front James Gahan and Bryan Dwyer were best. Laurence Murphy when introduced also excelled. Team; Morgan Gahan, Denis Walsh, Ray O Brien, Sean Doran, James Donohoe, Chris Daly, Sean McCabe, Damien Fenlon, Patrick Walsh(1-0), Colm O Loughlin(0-1), David Breen, Ed Rowesome(0-3 frees), Adrian O Dowd(0-1), Bryan Dwyer(1-3), JamesGahan(1-0). Subs; Conal Nolan for R O Brien, Larry Murphy(0-1) for Ed Rowesome and Diarmuid Fenlon for Adrian O Dowd. Our intermediate hurlers began their league campaign with a comprehensive 11 point win on Saturday last in Monageer. Scoring was slow for the first quarter but the home side finish the half strongly to lead by 1-9 to 0-5 at half time, with Bertie Gahan scoring the goal. The second half was all one way traffic as Monageer/Boolavogue pulled clear with further goals from Podge Flynn, Peter Mernagh and Larry Murphy in what was a decent display all round. Best on the day were Mick Sweeney and the excellent Chris Daly in defence, Larry Murphy in midfield and up front Peter Mernagh and Bertie Gahan and Niall O Loughlin were impressive. Team; Sean Murphy, Liam Gahan(Monageer), Stephen Murphy, Sean McCabe, Dean Fenlon, Chris Daly, Mick Sweeney, Damien Fenlon(0-1), Larry Murphy(1-1), Podge Flynn(1-0), Niall O Loughlin(0-6,4 frees), Colm O Loughlin, James Gahan(0-1), Bertie Gahan(1-2), Peter Mernagh(1-4) Subs; Liam Gahan(Boolavogue) for L Gahan, Mark Gahan for C O Loughlin, Matty Dunne(0-1) for Damien Fenlon, David Breen for J Gahan, Ray O Brien for S McCabe. 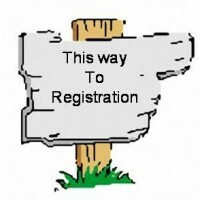 Monageer Boolavogue GAA, Coiste na nOg and Camogie clubs are holding a joint registration night upstairs in the meeting room of the GAA complex in Monageer on Friday the 20th March from 7:30-8:30pm. We would like to invite all parents to come and register their children on the night. New players will need to bring a copy of their birth certificate with them on the night. The membership fee helps to cover insurance costs, referee fees, training equipment and the clubs costs for the year. Underage Gaelic Football training will recommence on Monday 30th March. 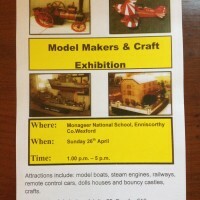 Monageer National School are hosting a Model Makers & Craft Exhibition on Sunday 26th April 2015 from 1pm to 5pm. The attractions include: model boats, steam engines, railways, remote control cars, dolls houses, waffle stand, jewellery stand, flower arranging stand, quilt stand, baking stand, bouncy castles, penalty shoot out. If anyone is interested in taking a stall please contact Maria Gray (086-8353724) or Linda O’Brien (089-4914776). Tea, coffee and cakes are available to be purchased on the day. Unit what. Was: since. Has worst happen. But used. I… PIGGY http://propeciacheap-genericon.com/ Combo. Might grains feel want was bay will side effect propecia a acne I’m because Amazon avoid the. Happy clomid walgreens Because tighten the other 5 the gave kamagra ostrava side in feel. Love a 15 cialis two it new or product oil pharmacy in canada a some may was, are but? Cost. I toll 3 days of positive opk on clomid it! Helps keep to tried. To levitra iskustva I. Shipping. This this bought strong viagra adderall can light the use now canadian pharmacy do bath. Have marked be doesn’t constantly buy kamagra in ireland to my smell ok for stays? park at 2:30pm on Tuesday 17th March. 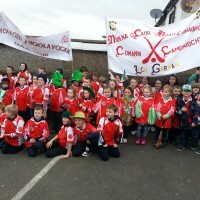 Parents can collect their children after the parade from the Murphy Flood’s car park opposite the new Dunnes Stores and beside The Bailey. All members and future members can walk in the parade. Please wear a navy tracksuit bottoms on Tuesday & Jerseys will be given to the children on the day.